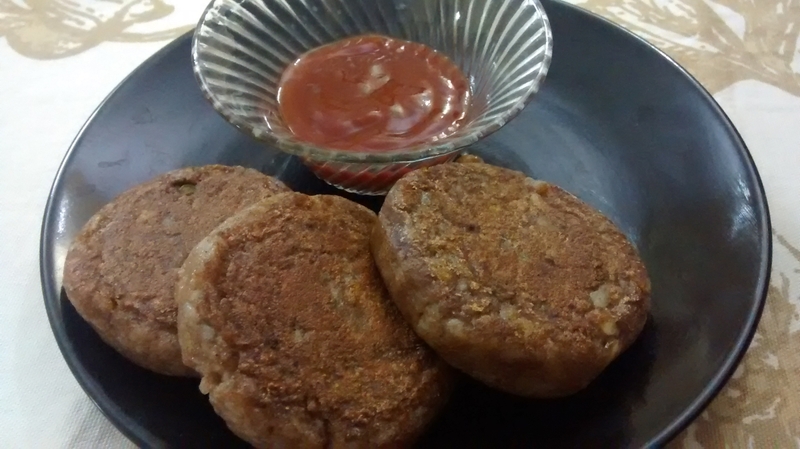 Crisp, tasteful and filling Aloo Tikkis with a twist! Ragi flour is known for its health benefits including bone-strengthening properties. It can be consumed in a variety of ways including this delicious one where we’ve combined it as a binding agent with boiled and mashed potatoes and fried as tikkis. Try this one out, you’ll surely love it! Put the mashed potatoes in a bowl and add the green chilies, onion, ragi flour and spices. With clean dry hands, combine the mixture while mashing it some more to smoothness. Place a wok or deep frying pan over medium heat with oil in it. Meanwhile line a plate with paper towels and shape the potato mixture into tikkis. As soon as the oil heats up, break off a tiny portion of the mixture and drop it in the oil. If it doesn’t break then the mixture is perfect. Else, add a little more flour. Slide in the tikkis in the hot oil and fry to a nice brown color from both sides. Transfer to the plate lined with paper towels when done to soak the excess oil. Serve hot with tomato ketchup and green chutney at tea-time.